Practical Agility: Fibonacci Must Die! Leonardo Fibonacci died over 760 years ago but he had a profound effect on mathematics in western civilization. He brought what he had learned from mathematician in north Africa back to Europe and authored the book Liber Abaci, which described such things as the Hindu-Arabic numeral system and place value of numbers. In the book he also showed how a number of mathematical problems were solved using the techniques he had learned, one of which was the growth of a population of rabbits. Although he didn't invent it, that sequence bears his name today, and is seen in many places in nature. The use of the Fibonacci sequence in a slightly modified form has also been popularized in the Agile community as values which can be used to estimate the effort required to deliver work. 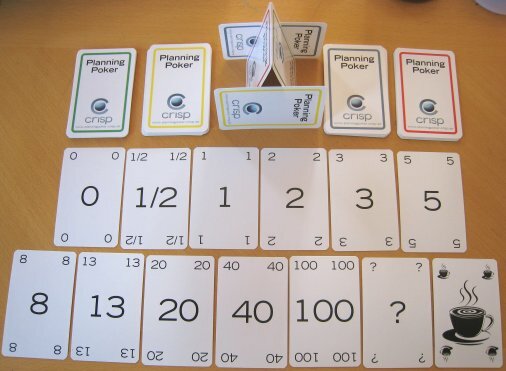 This is usually tied to the Planning Poker technique created in 2002 by James Grenning, and Mike Cohn's Mountain Goat Software sells decks of planning poker cards that use the values 0, 1/2, 1, 2, 3, 5, 8, 13, 20, 40, 100, ? and infinity. As the estimates get longer, the precision goes down. There are cards for 1,2,3,5,7,10 days and infinity. This deck might help you keep your story size under 2 weeks. Its common experience that story estimates longer than 2 weeks often go over budget. If a story is longer than 2 weeks, play the infinity card and make the customer split the story. In both of these cases, James and Mike recognize that as estimate size increases accuracy decreases rapidly, and they both use a very narrow range of values that can be used for estimates. Why is that? Well, I'm going to borrow a famous acronym from the Extreme Programming world: YAGNI... You Ain't Gonna Need It! Yes, Mike's card decks have many more values. I suppose that a deck with 5 values and infinity would be somewhat less attractive to buy, but the real point is how much damage is being caused by teams using values of 13, 20, 40 and 100? Do those numbers really mean anything? I assert that they are meaningless, and actually cause much more harm than good. The harm comes from 2 sources. First, it allows teams to get away with not splitting work down into pieces that can be estimated reliably. Second, and as a consequence of the first, by providing inaccurate estimates for very large things teams/product owners/stakeholders can have a false sense of security about how much effort will be required. Estimates that are wildly inaccurate will lead to incorrect decisions about whether to proceed with some work or not. The smaller the piece of work being estimated, the higher the probability that the estimate is accurate enough to make reasonable decisions. Having too many choices is actually a curse, and limiting the choices available for teams to use for estimation forces them to really think hard about breaking the work down. I personally have used the four values of 1, 2, 3 and "too big" with good success over the years, but I can certainly live with what James and Mike suggest above. To go a step further, though, we should be applying Lean thinking and strive to eliminate the variability of the size of work completely. This would mean that all items are broken down until they're the same size, obviating the need for any estimation at all! That's a perfection vision that very few people have achieved, although it has happened. In the end, we need to move away from using the longer modified Fibonacci series as if it were a law of nature. Being modified, it really isn't a law, and actually provides very little value beyond the number 8. Within Agile teams, Fibonacci must die! Thanks for the comment, Jeff! I do like the idea of simply treating items as all the same size, although in my experience the difference between a 1 and an 8 is significant enough not to be ignored. Where I have an issue, though, is with your estimate for an epic. How do you really know that it's 30 and not smaller stories totalling 15 or 45? What value are you gaining by estimating something that coarse-grained? What I'm saying is that you need to have broken down the items for the current release such that they are within the 1-8 (Mike) or 1-10 (James) range and the team is comfortable with those estimates. I would (and have many times) gone even further and broken them down until they are in a range of 1-3. Any effort estimating anything bigger very quickly becomes waste owing to the gross inaccuracy. I'm OK with, "The last time we did something roughly that size it was about 10 stories and 25 points", but that would be for something outside of the current release and not used for concrete planning. If you only have 1, 2, 3 and too big then I wouldn't even estimate size. Essentially this technique means breaking stories down to be constantly small. And doing this you just count/track stories ie velocity is the number of stories the team can deliver in the iteration (as opposed to number of story points). There is still some variability in the effort required between a one and a three, so I wouldn't arbitrarily choose to stop estimating. I do, however, think it's a good idea to break the work down until the variation *can* be arbitrarily ignored, although I've never been able to do that in practice. So if you only go up to 8 using Cohn's model, how much of your backlog is typically estimated? We use the larger estimates, but never actually pull them into a sprint. Everything gets broken down before that point, but there is still some value in having a vague idea of size before it gets broken down and definitely not enough time to break everything down before starting work. Yes, a 40 may end up breaking down into 10 5 point stories and be 50, or maybe even 20 5 point stories and be 100, but the majority of the time we still get the relative size correct such that on average, a 40 winds up being roughly half as many points when completely broken out as a 100. In order to get away from the higher values you have to have all of the current release estimated, and possibly some of the next release. That means your releases necessarily have to be relatively small, though I've used this technique for 6 month release cycles. Are new stories introduced? Sure. Do you further break down existing stories as you learn more? Absolutely! Not so much a "must die" but "must truncate." This is a good message to get out. I think a lot of agilists have been shortening the scale for years, and asking for most stories to be implemented in 1-to-4 point increments. This biggest hurdle is often just a matter of getting Customer/PO to visualize small increments instead of complex, completed features. I suppose it's the value of seeing releases as short-term things that makes Lean Startup and similar strategies so valuable to business. It just happens to represent a pretty big change in the process behind the product vision. Great article Dave, and I understand what you are getting at. I would love to only use 1,3,5,7,10 and Infinity but at all the places I have worked this wouldn't be acceptable. A business needs to plan so they need something to go on, even if it's a guesstimate. By using 13, 20, 40 an 100 the team is saying I know this story is big, and I know I'm going to be wrong but if I had to give a guess for how big this is I'd say it's 4-5 times one of the 8's we'll say it's a 40. This other one, well it's not that big I know that, but it is bigger that the 8's so well say 20. Are we wrong on both? Yes. But with these I can give tell a story of what the projects future might hold, but that is better than saying 'you know what, we have 3 Infinities so this could go out to 2019'. We can't sell Agile as "don't bother me on how long this will take, it get's done when it gets done. Now do you want it don't or not?" I prefer using the Fibonacci and making it abundantly clear that the larger the number the more we are unsure which is why Releases and Roadmap should be expressed in date ranges. Over my '10 years of Agile' I've seen estimation techniques ranging from Ron & Chet's "just make them all the same small size and forget estimating" to "estimate everything in ideal person-days". Where I have consistently seen issues is when time-based estimated are used and where there are too many choices for those estimating. The former creates a subconscious (and sometimes conscious) commitment to calendar time, and the latter has the issues I detailed in the post. Allowing more values just masks other issues such as not spending the time to break the work down smaller. So the business plan is based on fiction then? Serious question. I understand that most business don't yet subscribe to more modern approaches such as Beyond Budgeting and the even newer Lean Startup Innovation Accounting concept, so you need to determine how much something is going to cost. Well, what's the largest component of the cost of delivering a project or product? The people. That cost isn't going to change much, regardless of what epics are in the backlog. Remember that Agile very much prefers long-lived teams... so what does the team cost per month or year? What capital costs do you need to factor in? The only possible value in estimating large items well outside of the current release is to determine if there's enough work for the team in the future. Even then, you're taking a 1000 yard shot at a rabbit using a handgun... in theory you could get lucky and hit the rabbit, but you're much more likely to be so far off target as to be laughable. So why bother wasting that time in the first place? “Upstream Kanban”, an Agile2010/LSSC2010 presentation by Rick Simmons and Mike Fitterman contained -- okay, this was not the main point of their presentation, but it was the most important part to me -- a logical method for determining the team’s set of item sizes. This was done by using multiple size-based standard classes of service. In their example, a team refined their process and ended up having two standard classes with a 4:1 lead-time ratio. If they were to use cards, they’d need 1, 4, and infinity. And it didn’t make sense to average 1 and 4 to make 2.5. If they knew an item was large, the effort and risks were greater than 2.5, but if they knew it was small, they could offer the customer a much better service-level agreement. On my lean island, the demand was easier to cope with, so I gradually came to need only one size. The lead-time distribution chart showed two clusters (2:1 ratio), but the cluster where an item would end up didn't always match the initial estimate. Not a problem as the lead time was short enough. Using Jeff Anderson's math above, everything was size 1.5! I found "Is this item acceptable to its proposed class of service?" to be the key question. If not, play any card of a red suit and break up the item. Back on the Scrumbut mainland, my observation is that the most damaging card in the Fibonacci deck is a 40. It approximates the number of hours in a workweek. I know teams that use mostly high-point cards and are unable to get over the hurdle of relative-size estimation. Thanks for your great comment! That's a fantastic explanation of evidence-based planning, and I wish there were more teams that would inspect & adapt their way towards it! Nothing prevents from re-estimating. Also these estimations are too simplistic and don't take into account a statistical factor which is variance. The smaller the thing the more variance there is so it's not always worth to try to be too precise. Like in Quantum Mechanics law precision and velocity are two opponents. Better estimate fast than try to be uselessly precise. I don't think that the problem lies in the numbers used. If your problem is that the stories are too large you might as well end up with a deflation in your currency. The story size can remain the same but you end up going from producing 40 story points in an iteration to only producing 10 in the same amount of time. High numbers in the story points estimates could very well be a symptom of stories being too large but it's certainly not the root cause. I've actually given some teams the advice to multiply all their story point estimates by a factor of 1000 when I've suspected that management might try to compare velocity between teams. I do think though that a longer sequence of numbers allows for a false sense of precision in the estimates and that is a good enough reason to move to t-shirt sizes or some other low resolution approach. A Survival Guide for New Agile Coaches - Why? Practical Agility in Top 200 Agile Blogs List!